The Board of Directors and all of the members of the Project Management Institute Southern Alberta Chapter wish to thank each of the Chapter sponsors for their continued support of the organization and their recognition of the importance of project management in Southern Alberta. To find out more about how your organization can become a chapter sponsor, and learn how you can benefit from sponsorship, check out this video Watch Video and please read Become A Sponsor. The Southern Alberta Institute of Technology is a leader in applied education, delivering relevant, skill-oriented education to more than 50,000 people annually. SAIT offers two baccalaureate degrees, three applied degrees, more than 70 diploma and certificate programs, 37 apprenticeship trades, English language foundations, academic upgrading and over 1,000 continuing education and corporate training courses. 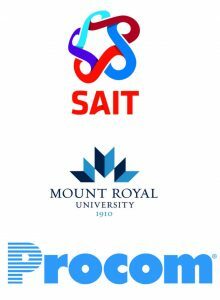 SAIT works closely with industry to ensure graduate success. The class of 2015 had an 86% employment rate. SAIT was established in 1916 and completed its largest campus expansion in 2012. The $400 million Trades and Technology Complex added 740,000 square feet of state-of-the-art learning space. SAIT has been a committed supporter of project-management skills development for nearly 20 years. Organizations work closely with us to develop the specific training programs they need to support their employees’ development of project- and program-management skills. Our industry-experienced instructors, subject matter experts and training administrators bring real-world skills and knowledge to the delivery of these training solutions. We are the proud 2013 and 2014 recipient of the Project Management Institute Southern Alberta Chapter (PMI-SAC) Professional Development Provider in Project Management of the Year Award. To learn more about what we do and to read our client success stories, visit sait-training.com, follow us on Twitter or visit us on LinkedIn. 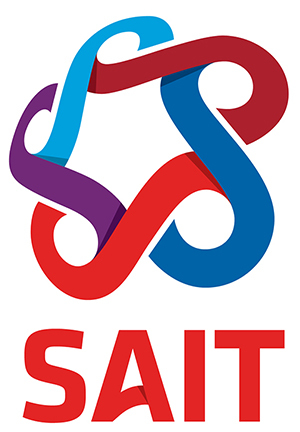 For inquiries about training partnerships with SAIT, please e-mail Corporate Training Solutions or call (403) 210-5757 or toll free (866) 884-7117. As a Global Registered Education Provider of the Project Management Institute (PMI)®, Mount Royal University offers a range of professional project management training programs that are recognized in Calgary and beyond. Along with our capstone Project Management Certificate, we offer the Project Management in Construction Certificate, PMP®/CAPM® exam preparation courses and professional development seminars. Procom is one of North America’s leading staffing and contract workforce services providers. Successfully meeting the needs of Fortune 500 clients for over 35 years, we have 14 offices across North America, with over 7,500 skilled professionals currently on assignment. Procom has long been recognized as a market-leading source of high-performing services and solutions that transform how our clients acquire and manage the very best talent. Relying on the excellence of individuals to make a difference, we know that people matter. EMERSON. Helping Your Organization Achieve Top Quartile Performance. EMERSON is a global industry leader and diversified technology solutions provider. We have built up a network of global industry centers and thousands of industry and application experts, many of whom, have faced the same challenges you do today. We confront the challenges of an increasingly complex and unpredictable marketplace from a position of strength. EMERSON has established local strategic partnerships with our Emerson Impact Partners in North America, specifically Spartan Controls in Western Canada. With over 125 years in the business, we have become trusted partners to our customers by developing a complete, comprehensive portfolio of industry solutions and revolutionary technologies to measure, control, optimize and power their operations. Mutual success requires a deep understanding of your challenge. 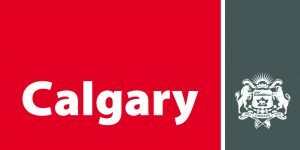 Our Canada Engineering and Solutions Center located in Calgary, Alberta is ready to discuss your business needs including project management and execution. We are the proud recipient of the 2016 PMI-SAC ‘Excellence By An Organization in Project Management’ Award. To reach your goals, you need a partner who speaks the language of your industry. We’re ready to put our industry-tailored expertise and solutions’ mindset to work for you. To learn more about what we do, follow us on Twitter and LinkedIn or visit Emerson’s Impact Partner, Spartan Controls website www.spartancontrols.com. For your inquiries, please contact Emerson’s Canada Engineering and Solutions Center at (403) 258-6200 or Emerson’s Impact Partner, Spartan Controls at (403) 207-0700.